Our sandwiches are made using your choice of bread, freshly sliced deli meat and choice of additional toppings. Our traditional Chicken Noodle Soup is served every day as well as the ‘Soup of the Day’. Come by on Thursday for Fresh Bothwell Cheese. We carry an extensive selection of local products, fresh produce, grocery items, frozen foods, deli meats, cheeses, breads and carefully curated specialty items. You can view a more complete product listing here. 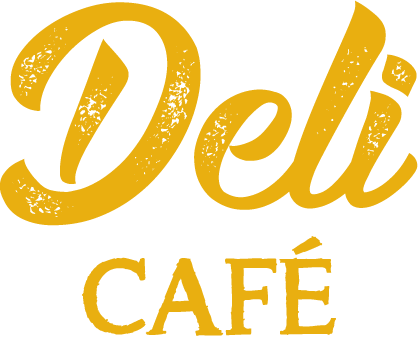 If you’re in need of a fresh meal, we serve breakfast sandwiches and delicious soups & sandwiches in our Deli Café and daily pasta lunch specials in our Pasta Café. Come visit us in downtown Steinbach – get directions here. 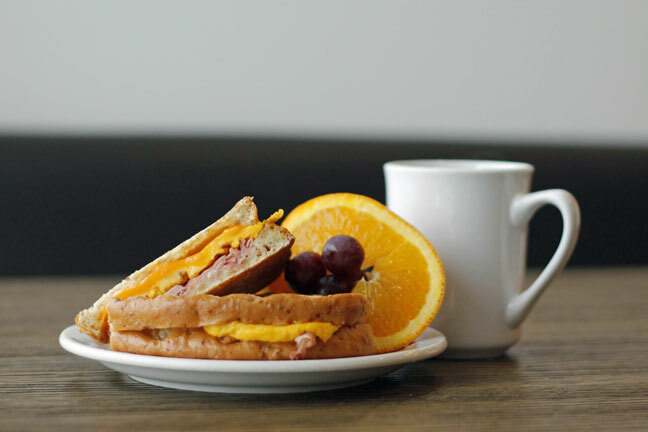 Start your day off right with a comforting breakfast sandwich from our Deli Café. We also have hot coffee and a variety of pastries. 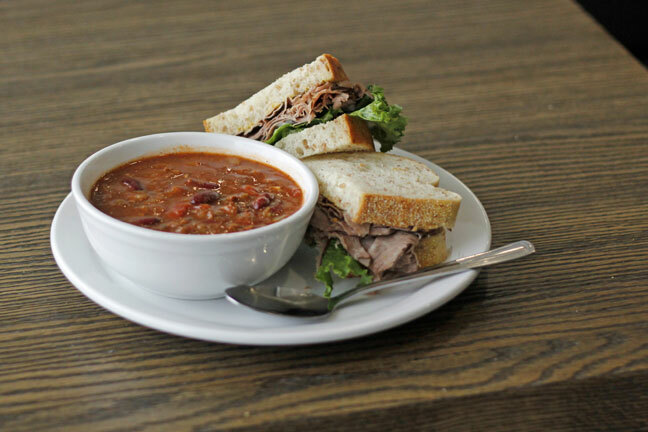 Get fresh, homemade soup and sandwiches on-the-go at our Deli Café. Our signature Chicken Noodle Soup is served every day as well as the ‘Soup of the Day’, available in 1L or individual containers. Sandwiches are made using your choice of bread, freshly sliced deli meat and choice of additional toppings. 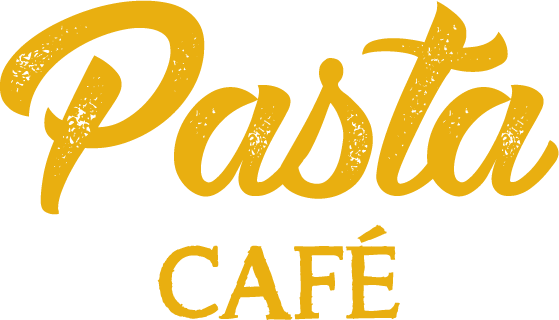 Get fresh, homemade pasta meals on-the-go at our Pasta Café. 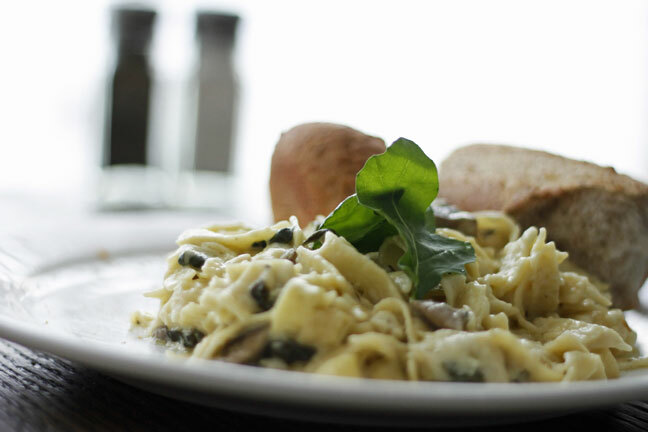 Choose from two Daily Hot Pasta Lunch specials served with your choice of Caesar Salad or Garlic Toast. Enjoy your lunch inside or take it to go. With an extensive selection of unique products from Manitoba and abroad, our baskets can be tailored to suit a variety of tastes and nearly any occasion. Gather your basket items in-store, have us build one for you or select from our pre-made options. A well prepared meal is the centerpiece of a memorable gathering. We provide a variety of freshly prepared, delicious deli and event platters suitable for special occasions, socials, office lunches, or any group function. We also have customizable sandwich platters with all the options to suit your taste.